Edgewater Boats are known as some of the most family-friendly fishing center-console boats on the market today. Known for their unsinkable foam flotation, each Edgewater is built with the very best materials possible so the hull is strong and the performance is impeccable. Let the team at United Yacht Sales help you in your search for the perfect used Edgewater Boat for sale. After many years at Boston Whaler, Bob Dougherty decided to follow his own dream of designing a new style of family-friendly fishing boat. Born out of the city of Edgewater, Florida came Edgewater Boats. 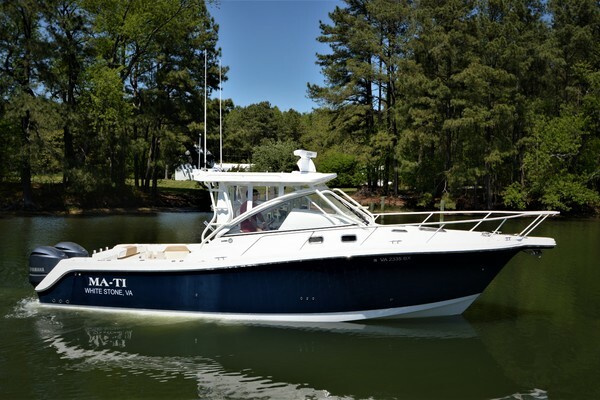 Today, Edgewater builds bay boats, center-console boats, and what they call a 37' center-console yacht. Edgewater uses a foam flotation hull which makes it unsinkable and also incredibly durable, particularly once vacuum-bagged and resin-infused. 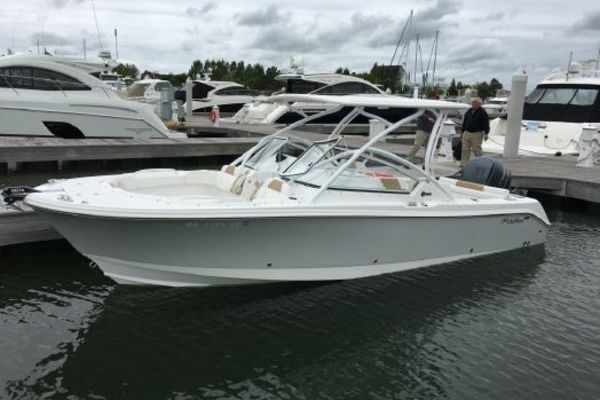 There are many available used Edgwater Boats for sale on the market today. Let the team at United help you find the right one for you, whether it's your main vessel or a tender for your larger motor yacht or sportfish.